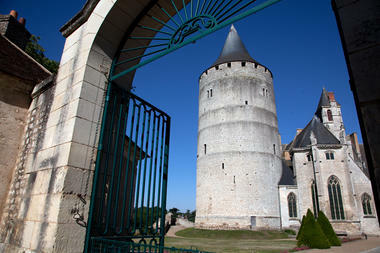 Vertiginous medieval tower 60 metres tall, overlooking the Loir river. A lord's lodge in the pure flamboyant gothic style built by a companion of Joan of Ark. Discovery of medieval cuisine. 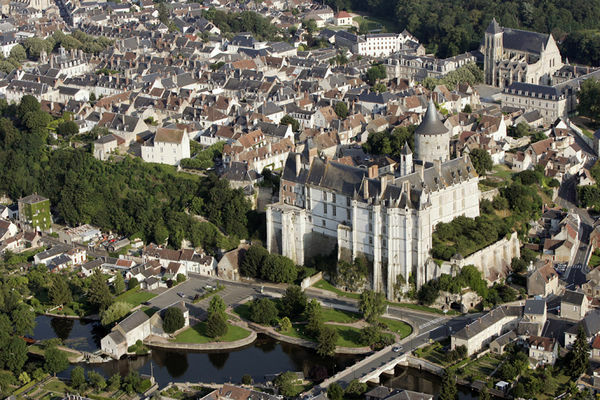 Strategically perched on its rocky spur, the massive medieval dungeon watches over the Loir valley, 31 metres above the rest. 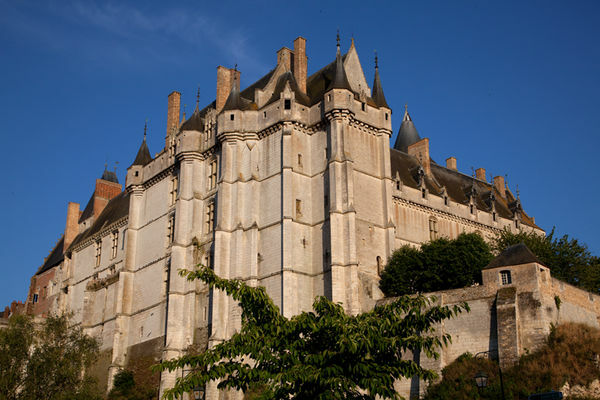 Jean de Dunois, Joan of Arc's famous companion, built his seigniorial dwelling in 1460, bearing a flamboyant, gothic-style decor and a Holy Chapel which houses twelve life-size painted statues. Finally, the Longueville wing, which is directly inspired by the Italian Renaissance, gave the Château de Châteaudun the denomination of first "Chateau of the Loire". 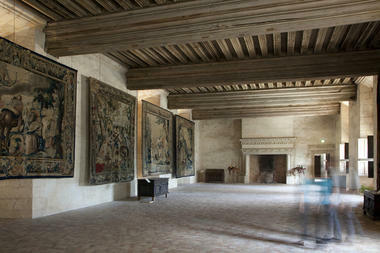 The well-preserved interiors are home to a rich collection of 16th and 17th century tapestries. * Vertiginous medieval tower 60 metres tall, overlooking the Loir river. 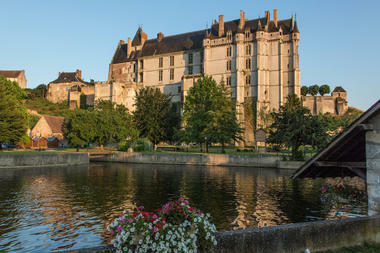 A lord's lodge in the pure flamboyant gothic style built by a companion of Joan of Ark. Discovery of medieval cuisine.